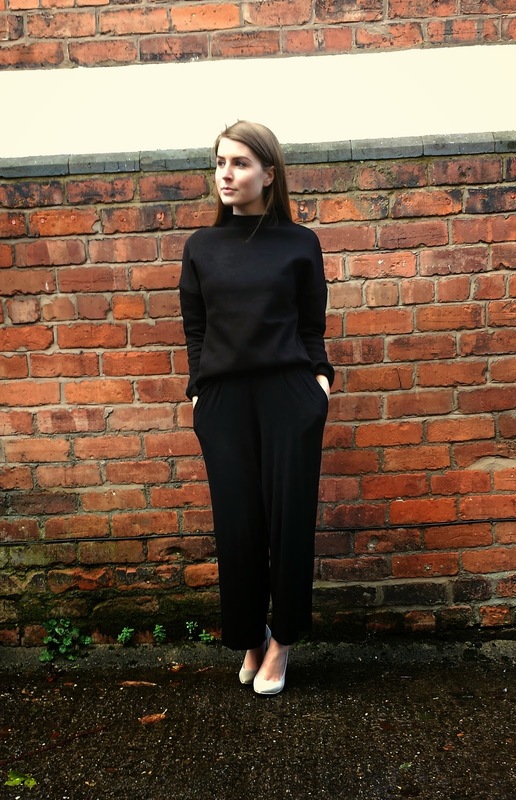 I bought this jumper in the Zara Black Friday sale - such a steal at £15 (find similar here). I love the texture of it - it's softer than actual wetsuit material, but it's still got that stiffness to it. 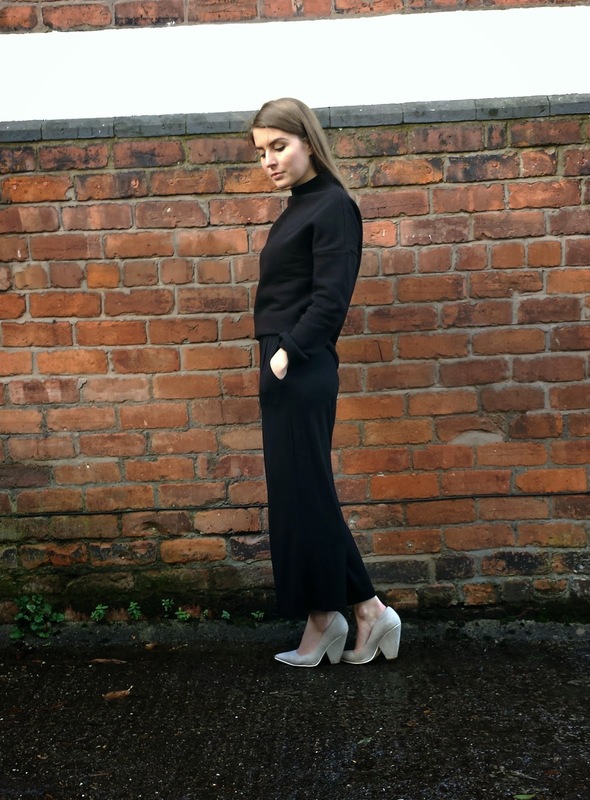 I've teamed it with my trusty culottes (you can't prise these away from me) to give a slightly oversized silhouette and just had to brave the bare ankles! These culottes seem to be sold out but you can find similar ones here and here. In other news, Christmas is but a few days away (as if you didn't know already) and I for one cannot wait to get up North to my family home, get involved in all things Christmas, eat my body weight in food and have a well-deserved rest. Part of that rest is going to involve a bit of a break from the internet. This is my last post for about a week or so but no doubt I'll be posting festive selfies on Instagram and tweeting really insightful tidbits on Twitter. This whole outfit is stunning, I loveeee your jumper! Such a minimal but classic outfit. Can't believe such a gorgeous statement jumper was only £15! This is such a crazy gorgeous basic to have.